Good quality, original trolls hair accessories wholesale. 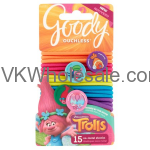 Minimum quantity for "Goody Trolls Braided Ouchless Elastics W/Character Charms 15CT" is 6. 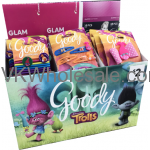 Minimum quantity for "Goody Trolls Checkout Canister Display 3CT, 14 PC" is 1. Minimum quantity for "Goody Trolls Fashion Ouchless Headwrap on Clip 1CT" is 12. 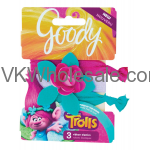 Minimum quantity for "Goody Trolls Glow In The Dark Contour Clips 6CT" is 6. 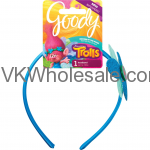 Minimum quantity for "Goody Trolls Hair Accessories Combo 21PK" is 1. 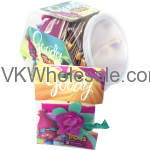 Minimum quantity for "Goody Trolls Hug Time Flower Ribbon Elastics 3CT" is 6. 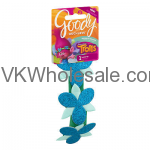 Minimum quantity for "Goody Trolls Poppy Flower Headband 1CT" is 6. 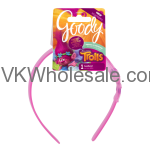 Minimum quantity for "Goody Trolls Poppy UV Color Change Headband 1CT" is 6. 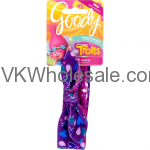 Minimum quantity for "Goody Trolls Reversible Fashion Bow Headwrap 1CT" is 6. 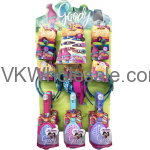 Minimum quantity for "Goody Trolls Styling And Fashion Half Side Rack Display 27 PK" is 1. 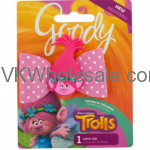 Minimum quantity for "Goody Trolls Value Channel Bow Salon Clip 1CT" is 6. Minimum quantity for "Goody Trolls Value Channel PDQ Counter Display 24 PK" is 1.